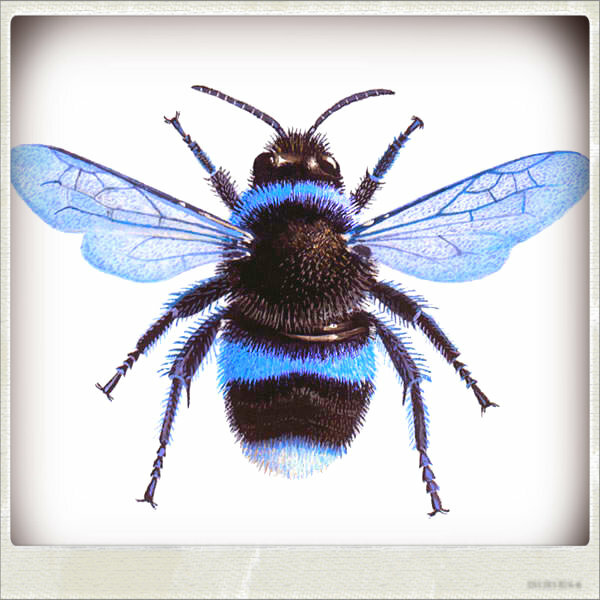 A robust Apidae, this particular bumble bee survives due to its developed immunity to the strange ores and intense heat of the volcanic activity. Their hives have developed carapaces to help insult their populations while their population has developed carapaces that insulate and retain the heat. They take the name frost burn for the mild burn that one can experience when a hot one lands upon you, and the intense pain one experiences when bitten by their proboscis or stabbed by their nearly half inch stinger. The developed proboscis, or madibles are capable of chewing rock and mixed with their mildly acidic saliva, they mold the stone and cover their hives with it. Themselves slowly covered in the saliva ridden stone, have developed powerful wings, and incredibly resiliant innards as a result of the torturous lives they've lived. The rewards for their survival are the plethora of strange flora that grow abound within the tropical microcosms afforded by their environs. Surrounded by heat and strange energies, they remain a benign and private race. They harbour a mild form of sentience, maintaining a psionic mind as a hive that can communicate at a low level language with a high sense of logic. They have no natural enemies, however they are sought by mountain dwelling humanoids for their honeys. Each hive promises a wealth of new findings such as magical properties as provided by the honey. Mostly, the honey is a nourishing substance, and not all Frostburn honey is sweet. Typically, the colouration of the substance gives away the flavour and intended purpose.